Our residential and commercial power washing and steam cleaning company services the entire Phoenix metro area. Call us today for a free power washing quote! We offer residential power washing to all of Phoenix, AZ. There is no job too big or small. 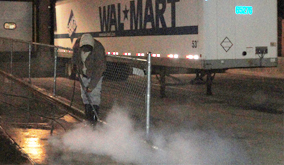 We offer weekly, bi-weekly, and monthly power washing programs for our commercial clients. 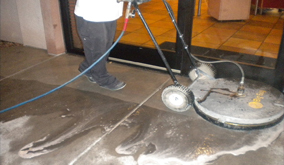 We are Phoenix Arizona's premier power washing, power washing, parking lot sweeping, and property maintenance company. 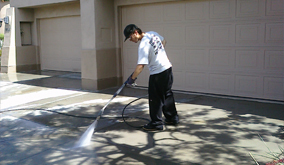 Residential power washing services in Phoenix, AZ. Commercial power washing services in Phoenix, AZ. 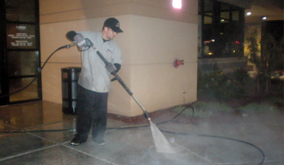 AZ PowerWash Pros LLC is a fully insured power washing, steam cleaning, and property maintenance company. We offer commercial, industrial, and residential power washing and power washing services to the entire Phoenix metro area. We have been Phoenix, Arizona's first choice for commercial and residential power washing services for years. 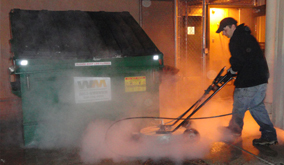 All of our employees are trained professionals in the art of high power steam cleaning services. We pride ourselves on quality service and affordable prices for all of our paying customers not matter how large or small the job might be. We offer discountsto customerswho utilize our power washing services on a weekly, bi-weekly, or monthly maintenance program. Our maintenance programs include power washing, parking lot sweeping, restroom cleaning, window cleaning, building washing, sanitizing services, and much more! Call us today for a free on-site demonstration of our power washing and property maintenance services! AZ PowerWash Pros is proud to say that we are an environmentally friendly power washing company. We have the capability to recover and recycle our water to ensure we save water and keep Arizona a "green" state. We are an EPA compliant power washing service that only uses eco-friendly and non-hazardous detergents and enzymes when cleaning. 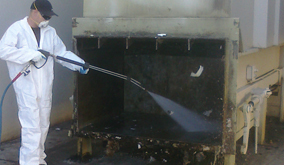 Our cleaning products have EPA contigency numbers and are legal to enter Phoenix storm water drains. We take extra precautions to ensure we keep Phoenix, Arizona environmentally friendly. We block storm water drains when cleaning commercial properties and all of our employees are trained in the eco-friendly cleaning process. We are Phoenix, Arizona's premier residential exterior power washing service. Call today!